stands to this day as the only Montessori school in Asia-Pacific, situated in major cities of the Philippine archipelago, equipped, trained and experienced to offer a high-fidelity Montessori curriculum for children from infancy to adolescence, enrolling close to 1,200 students in all its twelve (12) campus locations. 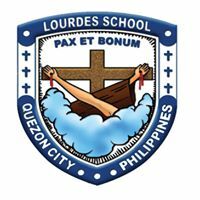 Lourdes School Quezon City traces its humble beginnings to St. Francis of Assisi who followed the poor and crucified Christ and loved humanity and all creations so deeply, that he is known as one of the beloved of all the saints. This charism of St. Francis impelled the Order of the Friars Minor Capuchin (OFM Cap.) to preach and labor among the people, rich and poor, learned and unlearned.The first group of Spanish Capuchins arrived in the Philippines in 1886 to serve as iterant preachers, giving retreats and popular missions. The World War II, which completely destroyed the Lourdes Church and the mother house in Intramuros, also reduced the capuchins to a minimum. In 1954, Rev Fr. Adolfo De Echavarri, then the superior of the Order in the Philippines, together with the other priests, conceptualized the establishment of schools as a means of evangelizing the community thus, the birthing of Lourdes School, Quezon City. Cebu International School is private institution offering a renowned international education to students from Preschool to Grade 10. CIS is an IB World School, and has been authorized to deliver the IB Diploma in Grades 11-12 since 1999 & PYP in 2014. An integral part of the education system of Baguio City National High School (BCNHS) is the guidance program which aims to provide service geared towards developing the wholesome personality of the students to enable them to be well adjusted and to be oriented with the environment where they live and career they intend to pursue. The ISM community is a melting pot of cultures from around the globe. The diversity promotes an environment of appreciation, recognition and interaction, which breaks the barriers of race, religion and tradition. At ISM, there is only one community: a global community. At the British School Manila (BSM) we believe education should be personalised, fun and challenging for all children and to deliver this, we link the classroom with our extensive and highly successful co-curricular programme. We are a smaller school with a strong sense of community that works closely with our families. This personal approach helps us understand, develop and nurture your child. Our British based education, delivered in an international context, provides an outstanding opportunity for children to grow in an environment that is committed to learning in the broadest sense of the word. Your child will integrate sports, service, residential camps, visual and performing arts and a wide range of other opportunities within our academic programme. We view ourselves as one school and aim for the progression from Nursery right through to Y13 to be a seamless educational experience. Education is indeed a timeless program and a lifetime investment. Being the new administrator of the biggest school in the Division of Albay gives me the chance to maintain my passion for education burning and blazing. Naga City Science High School is a public high school implementing the Science, Technology, and Engineering program of the Department of Education. This program provides the students with a very strong background in Science, Mathematics, and Research. As an STE school, we are committed to providing the best learning environment so that our students will develop into problem solvers, innovators and collaborators in the process of community development. Ilocos Norte National High School is situated in the northwestern side, or so called university belt, of the Laoag City Proper. Every school year, it has an average enrolment of 3,000 students coming from all over the Province of Ilocos Norte and the surrounding provinces of Ilocos Sur, Cagayan, and Kalinga-Apayao. The school maintains total personnel of 170 serving in its four adjacent campuses. The Kings School Manila (KSM) is one of the leading independent schools in the Philippines, offering outstanding education to pupils in Early Years and Primary School. We currently provide Secondary School education up until the age of 14 (Year 9) and will open an additional year group every year.